 Top of the World is the perfect starting point for any visit to the city and provides a breathtaking view of Baltimore's skyline, Inner Harbor and beyond. From now to Monday, May 27, 2019, regular hours of operation are Wednesday and Thursday from 10am to 6pm, Friday and Saturday from 10am to 7pm and Sunday from 11am to 6pm. From Monday, May 27 to Sunday, September 8, 2019, regular hours of operation are Monday through Thursday from 10am to 6pm, Friday and Saturday from 10am to 10pm and Sunday from 11am to 6pm. From Monday, September 9 to Monday, May 25, 2020, regular hours of operation are Wednesday and Thursday from 10am to 6pm, Friday and Saturday from 10am to 7pm and Sunday from 11am to 6pm. Special rates apply during events. *Please be advised that visitors are subject to a manual search of purses, briefcases, packages and backpacks. For your convenience, it is recommended that you leave non-essential items at home.